If you’re like me, you’ve read The Exception and The Perception. You stalk Adriana, wanting her to write faster! You’ve read every little addition to the story she has released. You may also ask her to write more Cane for you! Yes? No? Oh, that’s just me! This novella is the perfect bridge from The Exception to The Perception. You have my man Cane in all his cocky, confident and controlling glory! There is also Max, the southern charmer to even Cane out or to just tell him to F off! I loved this book. I love and I mean I LOVE Cane Alexander. He is my favorite. Trust me, Max is swoon worthy, but Cane and his cocky, arrogant mouth; he stole my heart! I loved the dialogue between Kari and Cane during their Vegas trip. The bickering; oh how she likes to poke the bear! All the thought that Cane put into this trip to make everything perfect for Jada; it was beautiful and sweet and perfect! 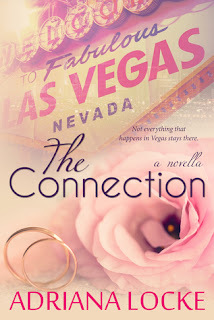 Read this series, The Exception, The Connection and The Perception and then message the wonderful Adriana and tell her you need more Cane and Max! !